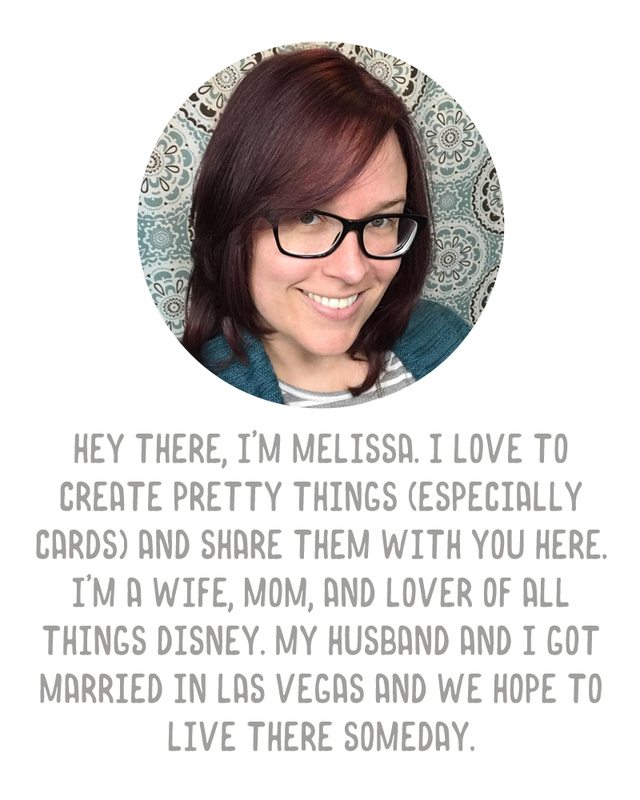 A Vegas Girl at Heart: Layouts layouts layouts! I wanted to share three digi layouts with you today, all with products released over this weekend. 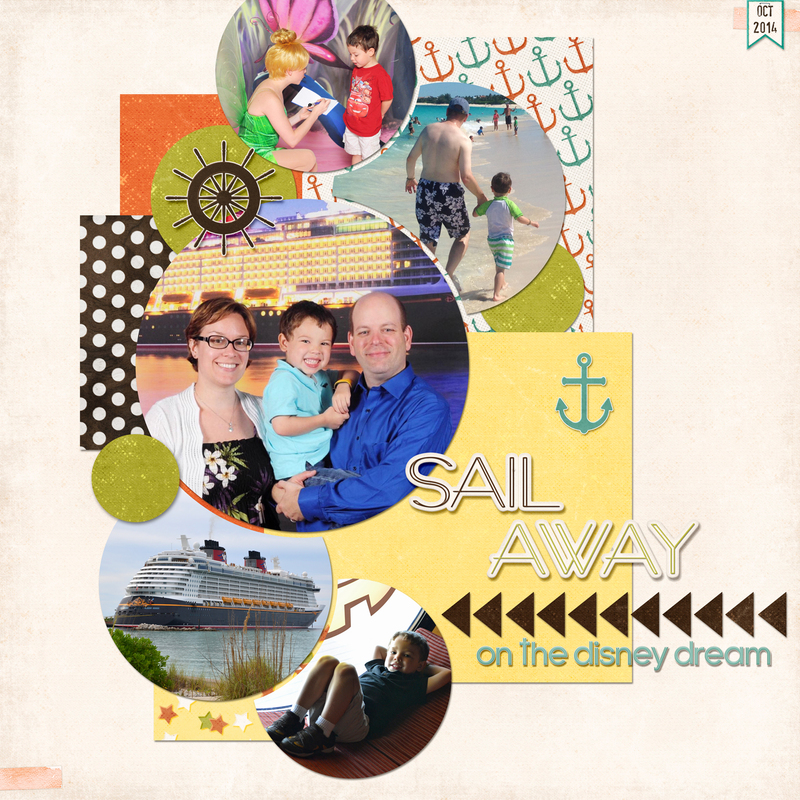 First up, I have a layout to share using the newest collection from Bee Tree Studios, called Sail Away. This collection is perfect for documenting a cruise, so of course I made another page with photos from ours. (I'm eager to get on our second one this fall so I have more to document!). I love the word art pack that comes in this kit! Next up I have two pages using kits from Amber LaBau. On Friday, she released several items as part of the May BYOC at The Lilypad. 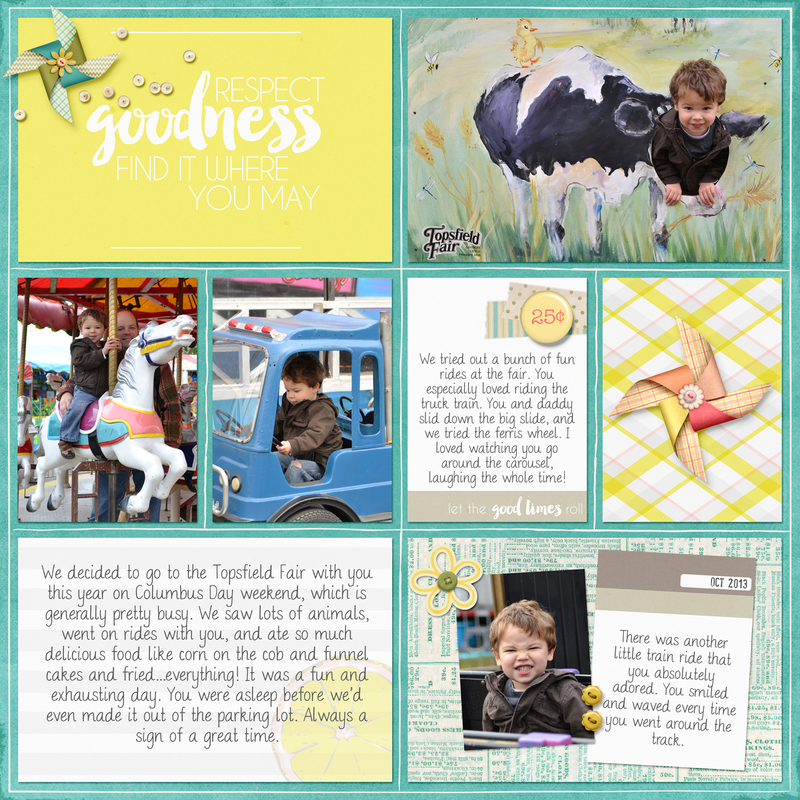 I used her The Good Stuff pocket cards and her Fresh Squeezed bundle (which coordinate so well together) to create this page about the Topsfield fair a couple of years ago. 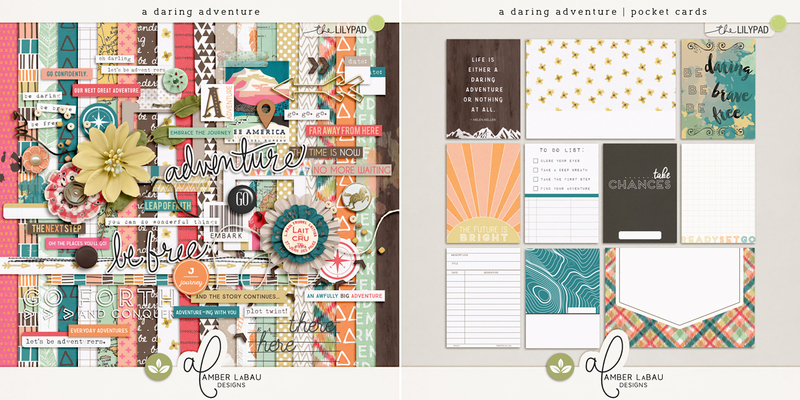 Finally, Amber and Sara Gleason collaborated to release a gorgeous fun kit called A Daring Adventure. I couldn't wait to play with this kit, and so I used it, along with a great template freebie that Amber has on her blog right now, to make this page about Austin's first time at the ocean. How gorgeous are these colors?! All of these items are on sale right now so don't wait, go grab them and play!